The Viking is back from trying out another brand new online casino. Pelaa is the name of this casino and will be the focus of his review. In this review, you will get to read all the information the Viking found when visiting this casino. At this casino players do not need to register an account to be able to play. This means players can just make a deposit and start playing. The Malta Gaming Authority licenses this casino and it also supports mobile and tablet devices. This is great as it means players can use this casino when travelling. The welcome bonus at Pelaa is 150 free spins on the slot Gonzo’s Quest and can only be claimed on player’s first deposit. To claim these free spins all players need to do is make a deposit. 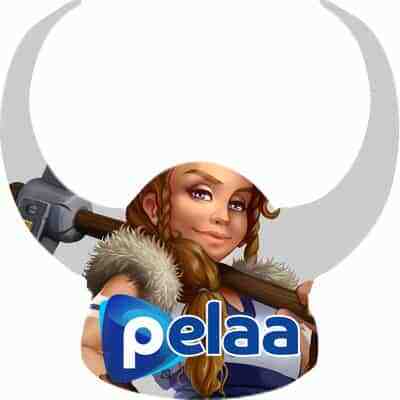 Pelaa also offers players the chance to become a VIP. If you manage to become a VIP you can expect great rewards and perks like Personalised Emails, Monthly VIP Prize Draw, Dedicated Account Manager, and much more. The Viking would like to remind his readers of two things. Firstly that this is a new casino and the bonuses may change over time. Finally, all bonus offers come with terms and conditions that should always be read. As many of our readers will know an online casino is nothing without great games and providers. It just so happens that Pelaa has both. In fact, at the time of writing this, there are over 1300+ games for players to enjoy and all of them are from top Providers. A few examples of this are Golden Fish Tank by Yggdrasil, Wild Chase by Quickspin, Dragon’s Luck Slots by Red Tiger Gaming, and Phoenix by Isoftbet. Pelaa have put together a great support team that is more than happy to help players that find themselves in technical trouble. If this should happen to you then you can use one of the following options to contact a member of their support team. There is a live chat, telephone, and email contact. There is also an FAQ which you can use as a self-help centre to answer some of your easier questions. Now to the best feature of Pelaa the ease of which you can make a deposit and start playing. All you need to do to make a deposit at Pelaa is pick your bank account from the drop-down list and make a direct transfer. The funds should be deposited straight away and then you are ready to play. The Viking’s final verdict on Pelaa is that he found the casino to be most enjoyable. He feels any player that visits this casino will be impressed with the ease at which they can not only navigate around the casino but also with how easy it is to start playing. The fact that you do not need to spend time creating a username and password is really appealing. The casino is also packed with great games from top providers. This casino has everything a prospective player could want. So why not follow the Viking and sail there today using the link above.